Enjoy the top 1 famous quotes, sayings and quotations by Isabel Anders. “The Daughter was weary at her spinning, and reflected aloud, "What if we really could spin coarse straw into fine, pure strands of gold?" Want to see more pictures of Isabel Anders quotes? 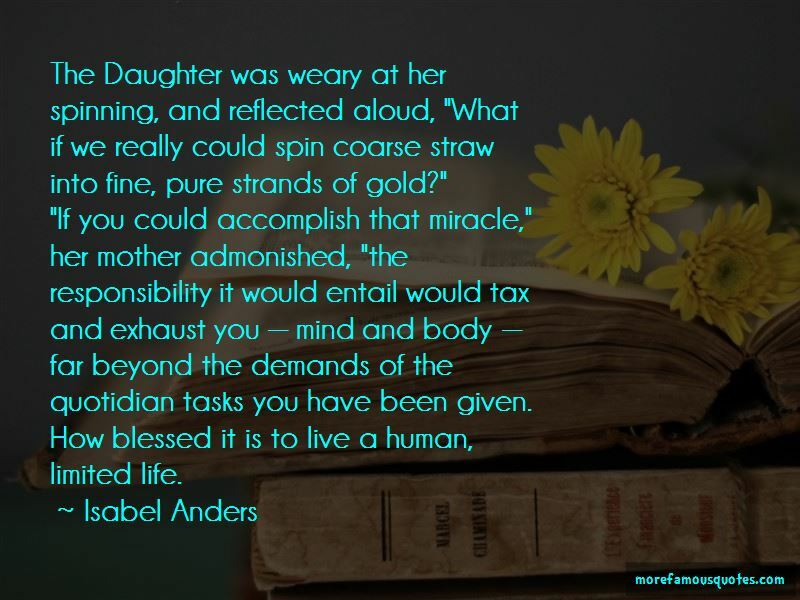 Click on image of Isabel Anders quotes to view full size.